Classic neutral colors, the crochet lace trim, and front cutout detail combine effortlessly to make this dress an instant favorite. 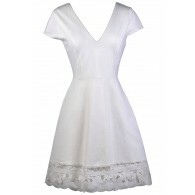 The Ivory Lace Trim Cutout A-Line Dress is fully lined. 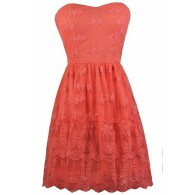 It has a rounded neckline with a fabric cutout detail above the bust. The classic A-line shape is amped up with a crochet lace trim at the bottom hem. A bow detail, open back, and hidden back zipper complete this pretty look. The Ivory Lace Trim Cutout A-Line Dress is perfect for any upcoming dance or party. It would look nice paired with pumps or wedges and a clutch. Details: Fully lined. Hidden back zipper. 97% polyester, 3% spandex. Contrast: 100% cotton. Lining: 100% polyester. Small measurements: Length from top of shoulder to hemline: 34”. Bust: 34”. 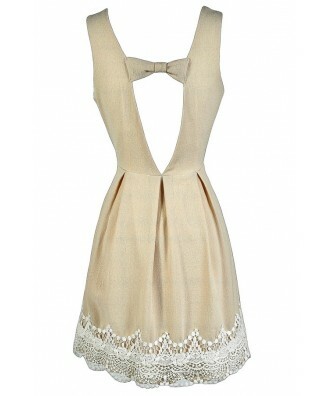 You have added Ivory Lace Trim Cutout A-line Dress in Beige/Ivory into Wishlist. 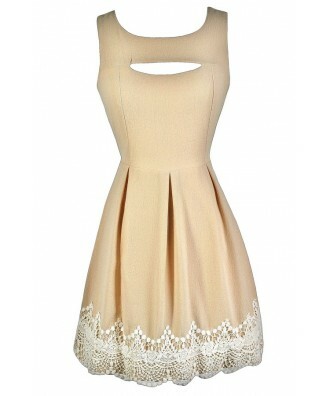 You have added Ivory Lace Trim Cutout A-line Dress in Beige/Ivory for Stock Notification. 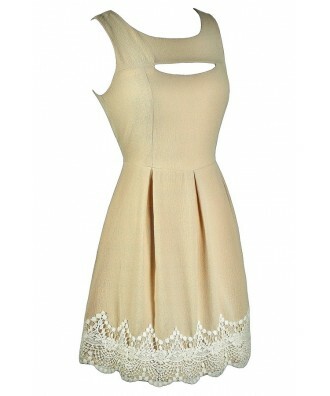 You have set Ivory Lace Trim Cutout A-line Dress in Beige/Ivory as a loved product. You have removed Ivory Lace Trim Cutout A-line Dress in Beige/Ivory as a loved product.